To be “woke” simply means that an individual is aware of the discrimination that has occurred over time, usually, oppression of minorities witnessed in police brutality, sexual assault and transphobia. 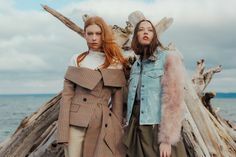 Fashion has been used through time as a language, and in modern times this language is a way of establishing what it means to be socially conscious. An individual is creating not just a “look” but a point of view. In the past couple of years, designers have tackled topics like feminism, the inclusion of minorities, LGBTQ+ and immigrant rights. In February of 2017, Prabal Gurung made a statement on the runway when models came out with white roses in solidarity with #Metoo. These types of socially conscious runways are not new in the world of fashion, but to dress “woke” does not just mean wearing statement t-shirts that read “the future is female.” While these runways are important in making a statement and promoting messages of inclusion, they are merely a literal demonstration. Therefore it does little in terms of real fashionable articles of clothing. “Woke” brands are eliminating the existence of gendered clothing, where the presence of gendered clothing departments is exhausting and individuals don’t hesitate in crossing the “line” between them. Designers like Eckhaus Latta have begun creating garments that are targeted at people and not exclusively man or woman. This topic of gender is not new and androgynous models have been present in the industry for years, however, the most mainstream brands still have yet to make any real change towards this topic and continue to create tired gendered clothing. Thus “woke” brands remain the minority. 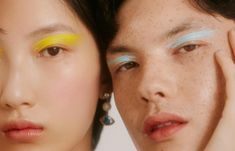 Instead, the fashion world of 2018 opens the discussion for a brand’s ability to remain relevant by being cautious of issues like cultural appropriation, exclusion of minorities and “fast fashion.” Millenials, Gen Z and any other modern grouping are growing increasingly aware of the circumstances of fashion. Whether it is the use of child labor, animal testing or vegan manufacturing- with the use of faux leather and fur or the elimination of it completely. Certain brands have forgotten that fashion is an art, that can be used to reflect the conditions of the current cultural climate and is able to spark a revolution without spelling something out for the audience. Woke fashion then depends on brands that are attentive to activism, whether it is interpreted literally through slogans or actively creates real change in artistic expression. Dressing “woke” then does not just mean wearing statement t-shirts but includes staying away from cultural issues that affect the public.